As people who spend a lot of time focusing on preparedness, we can learn a lot about our future by watching as the economies and civilizations of other Western countries crumble. Today’s lesson is that when times get tough, the government can and will persecute those who have planned ahead. The Attorney General of Venezuela, Luisa Ortega Díaz, called on prosecutors to target people who are “hoarding” basic staples with serious sanctions. She called on prosecutors to seek their detention. The attorney general called on people to remain calm, not to fall for provocations, and not to be afraid of the “alleged” food shortage. Based on the figures provided by the Central Bank of Venezuela, shortage hit 20% in August; in other words, 20 out 100 items are missing from the shelves. So basically, the Venezuelan government intends to treat those who prepared ahead of time like domestic terrorists…sound familiar? Last February the South American country responded to soaring inflation with some crippling economic strategies. Argentine President Cristina Kirchner responded to her country’s sky-rocketing inflation rates by freezing prices on food, a move Forbes magazine says will soon lead to widespread corruption in the business community and government. By all means, don’t stop preparing. But be aware that everything you do online leaves a trail. Every purchase you make that is not a cash transaction can be traced right to your doorstep. It is vital to practice OPSEC (Operational Security) by keeping your preparedness related activities on the down low. 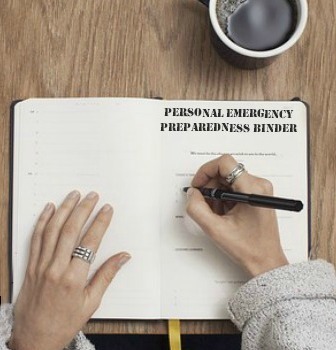 Preparedness and self-sufficiency author Tess Pennington warns that in a crisis situation, things you said months or years ago could come back to haunt you. Time is short. Our economy is collapsing before our very eyes. We’ve been blatantly warned about the potential for total grid failure. If you aren’t prepared, there is little time left. Maintain your freedom by becoming self sufficient. 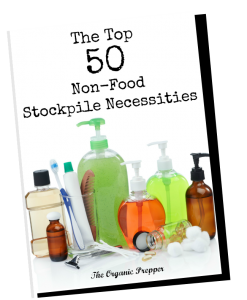 Get started now to put together a one year food supply – but be discreet because you just don’t know when that supply may make you an outlaw. Thank you to NinaO for the links!